An "option agreement" is a contract used in real estate investing that gives you the right to purchase a property for an agreed upon price up to a certain time frame. Mortgage credit availability decreased in May, according to the Mortgage Credit Availability Index (MCAI), released monthly by the Mortgage Bankers Association (MBA). The report relies on data from Ellie Mae’s AllRegs Market Clarity tool. The MCAI declined by just under 1 percent in May, indicating that lending standards are tightening, thus potentially encouraging more borrowers to seek loans in the non-prime space. The jumbo market saw the greatest decline at 1.3%, while conventional conforming loan availability tightened by 0.3% for the month. “Credit availability decreased for the third consecutive month in May,” said Lynn Fisher, MBA vice president of research and economics. 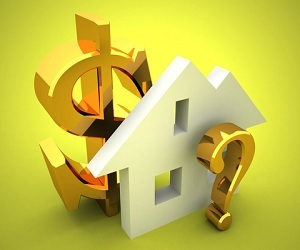 “Gains in credit availability caused by the continued roll-out of Fannie Mae and Freddie Mac low down payment programs were offset by modest tightening among government loan programs that serve borrowers in high cost areas,” Fisher said. The April decline was also just under 1%.